I used to be an obsessive reader of literary fiction, Pulitzer Prize-winning stuff and whatnot. These days, most of the books that I read are about mouse ballerinas, foxes that have lost their socks and little pigs building houses. That’s about all my brain can handle. The Popple is too young to understand most children’s books, but she seems to like looking at the pictures and listening to me read to her. 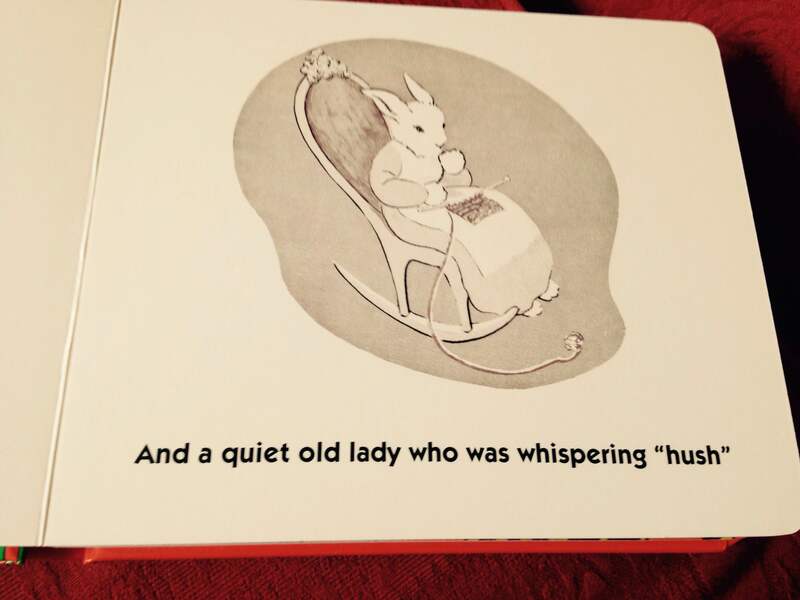 I usually read her a few stories every night, which has made me realise something – children’s books can be weird. Baby Opossum lets his friend think that he’s dead. 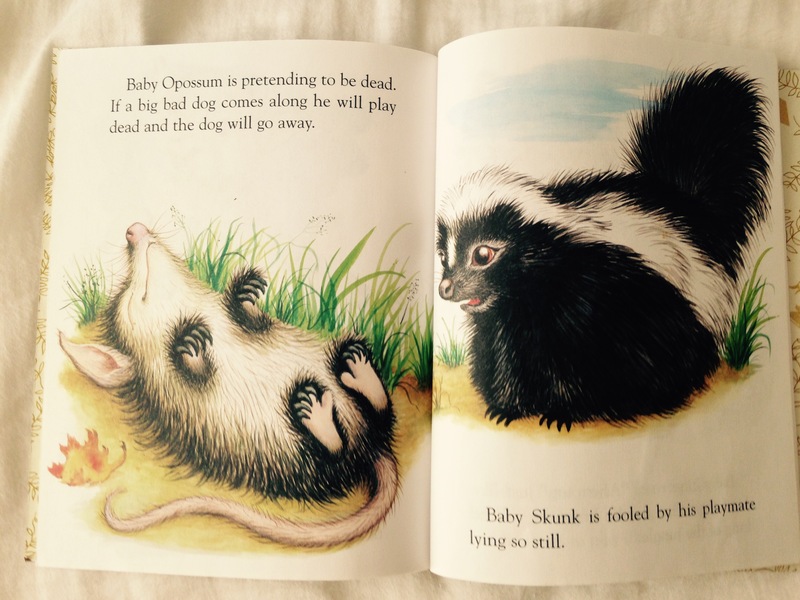 Baby Skunk is scarred for life. Not cool, Baby Opossum. Why are we saying goodnight to the absence of something? Why does the book claim there’s no one in the room when it already told us that there’s an old lady there? Does she not really exist? What does it all mean? WHY IS THIS CHILDREN’S BOOK CAUSING ME TO HAVE AN EXISTENTIAL CRISIS? This book is about a bunch of animals on a boat that are getting ready for bed – brushing their teeth, putting on pajamas, etc. Simple enough, but there’s one part that really bothers me. The animals all go up to the top deck to exercise – AFTER taking a bath. Why would you want to get all sweaty after cleaning yourself? Plus exercising right before bed can actually keep you awake. It makes no sense. 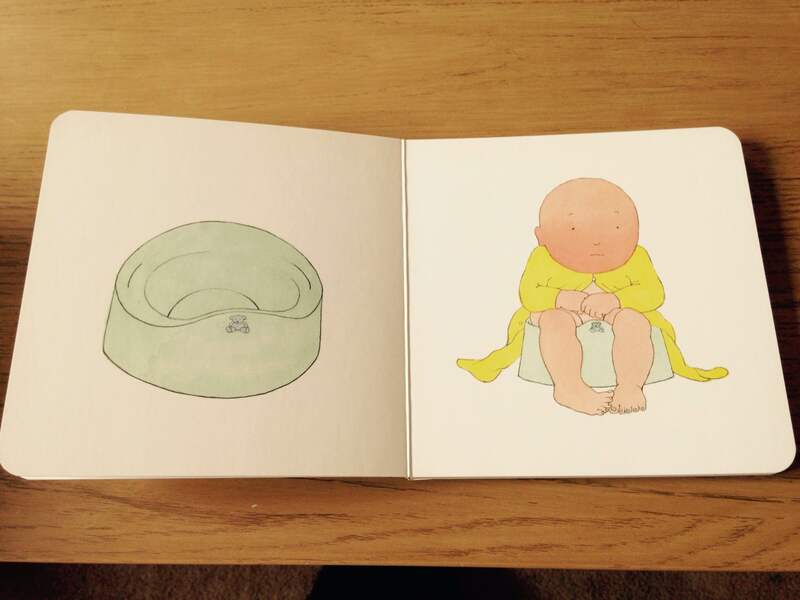 This book illustrates babies ‘working’, which apparently involves eating, drinking, riding in a pram, standing in a cot, and this. That baby is clearly working on something – and he is NOT enjoying it. Wow – Anna Karenina? Romeo and Juliet? That’s heavy stuff for a baby. I kind of want them, just to see how they deal with the whole suicide theme. 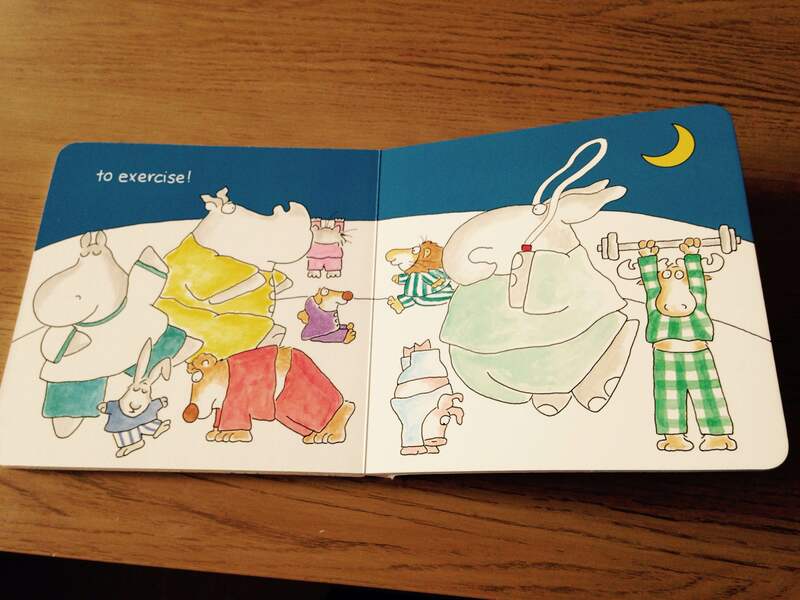 The exercise bit in The Going To Bed Book struck me as weird too! 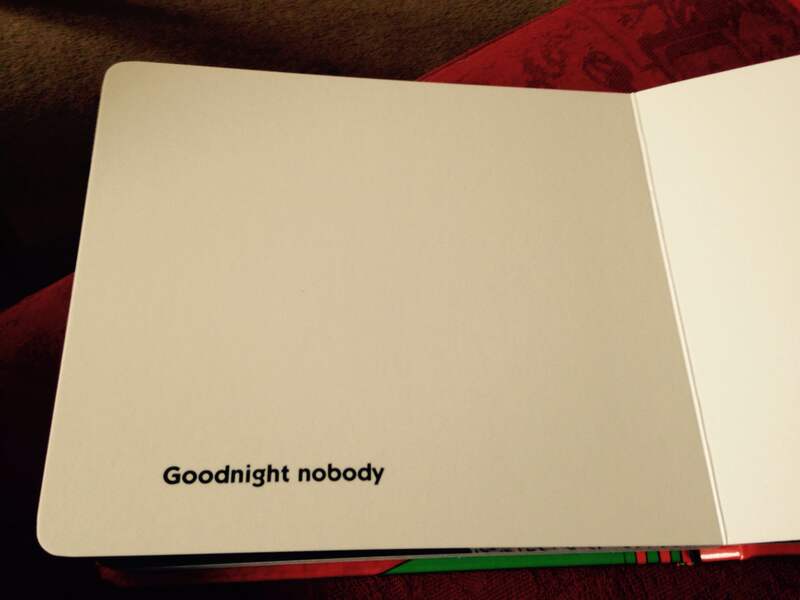 I quite like Goodnight nobody, somehow it’s playful in the long list of things to which we are saying goodnight? Have you encountered Ten Little Dinosaurs – or worse, Ten Little Pirates? Because they have some pretty bleak moments.